Barcelona, Spain's second largest city and capital of Catalonia, seduces tourists from all around the world. People gather to walk down the famous Rambla, the main tourist street that links the port to Plaça Catalunya, the centre of the city. Why such success? Its history, its architecture, its lifestyle, its location between sea and mountains, its audacity, its gastronomy, its nightlife... What does Barcelona lack? Actually, not much...Those who have something against big cities, will be able to enjoy the sea or mountains nearby. 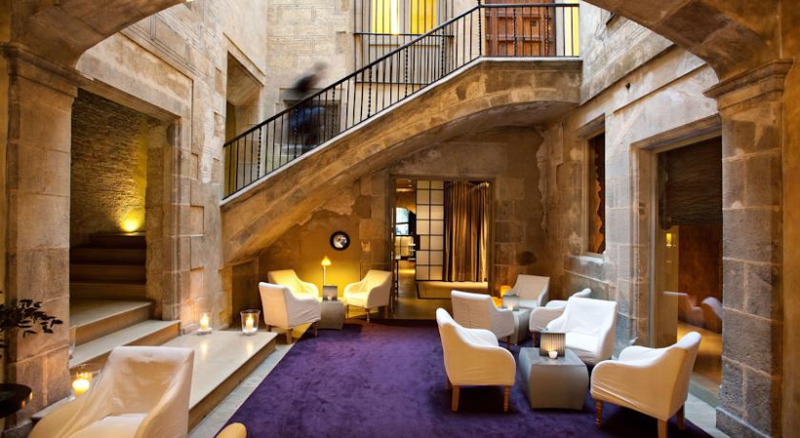 This chic and exclusive hotel, located in the heart of the old Jewish quarter, Hotel Neri Relais & Châteaux is set in two historical and aristocratic houses, being one of them a medieval palace from the XII century. The building’s original period charm has been preserved and enhanced by the hotel’s sophisticated interior design. Its design blends with relaxing music and sensual aromas to create a unique setting in this ancient area of central Barcelona. Set right beside the city’s Cathedral, the Hotel Neri Relais & Châteaux lies just a short distance from the bustling Las Ramblas, la Boqueria market, the Picasso museum… Is the perfect place to discover Barcelona.